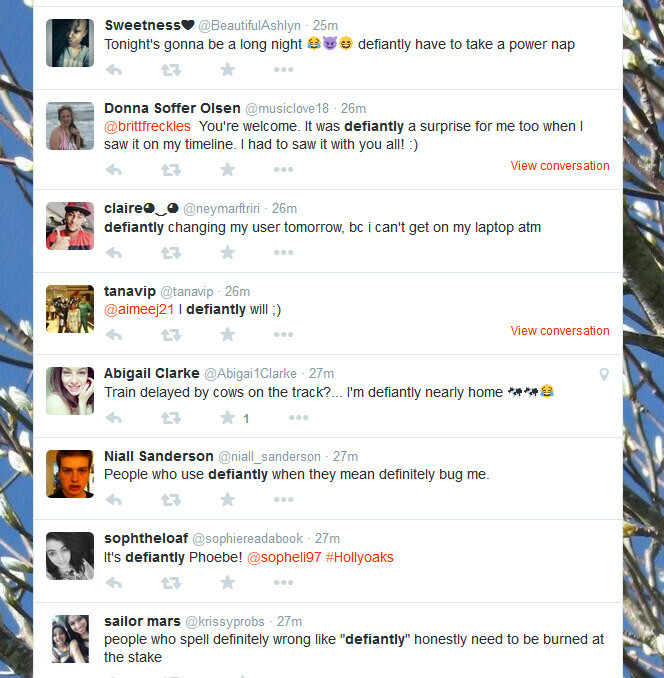 If you search for "defiantly" on Twitter, you'll see 99% of people using it to mean "definitely" and 1% complaining about the misspelling. The figure is taken from thin air, but it might not be far wrong: see for yourself. 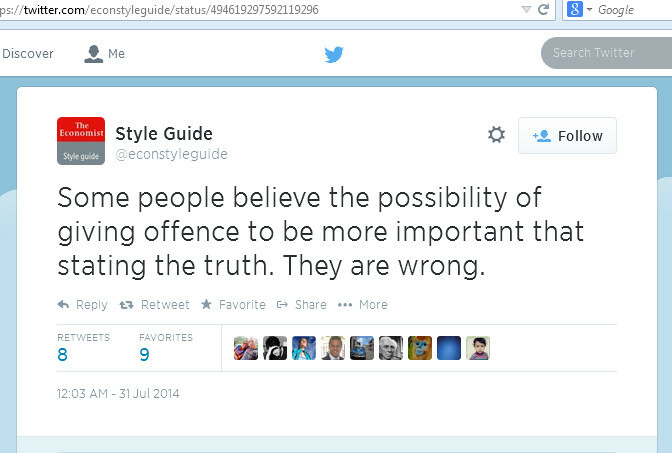 Defiantly is used a couple of times a minute around the world on Twitter, almost always to mean definitely. I suspect that’s also the case in text and instant messaging, but I haven’t looked into it. In fact, just about the only time we see defiantly ≠ definitely on Twitter, it’s not because someone is using defiantly to mean defiantly, but because they’re mentioning it to complain about the misspelling. It could be, as @GramrgednAngel suggested, that people are typing definat… (like in the good ol’ days) and autocorrect is transposing this into defiantly. If so, it’s having a big influence. I’ve not heard the error in speech, nor yet spotted it in print; for now it seems mainly restricted to informal digital communication. But who’s to say it won’t spread, defiantly. Typing that when we mean than is a frequent typo partly because that is such a common word. And unlike teh, it’s a valid word and therefore less conspicuous. That is a background word, a bit player, typically only a part of some larger sense. There are exceptions, times when that is brought to the foreground (“To be, or not to be, that is the question”), but it usually remains under our reading radar. So when it sneaks in where than rightfully belongs, its familiarity means it can easily go unnoticed. Last October I wrote about this that-for-than typo, investigating among other things its typographic, mechanical, and phonetic aspects. Since then I’ve noticed it quite often, especially in informal writing but also in edited prose from reputable publishers and organisations. I don’t evangelise about any old typo, but I’m consistently impressed by this one’s ability to sneak past so many careful eyes. And, as I noticed when MobyLives mentioned the phenomenon, the instinct to correct it when it’s spotted is powerful too — even when the correctness is incorrect. If you’re a writer or editor, it’s one to watch out for. The Prehistory of the Mind, by Steven Mithen (p. 99, but I don’t have my copy to hand).